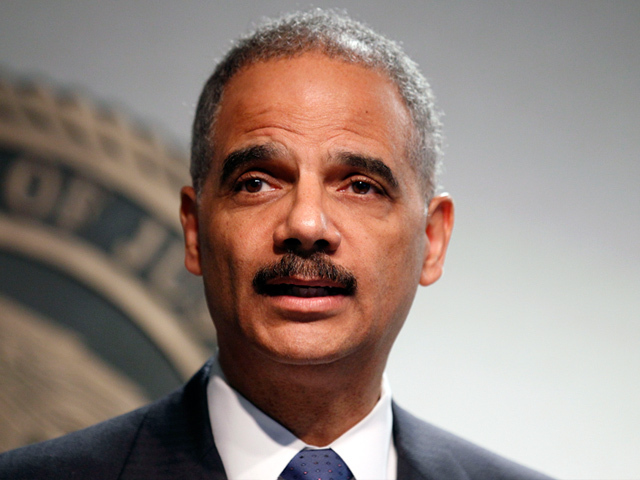 (CBS News) The House of Representatives voted to hold Attorney General Eric Holder in contempt of Congress Thursday for failing to provide documents relating to the Fast and Furious gunwalking program. The second charge, which passed 258 - 95, was a civil contempt charge, could move to federal court where it could take years to litigate. Though the action puts more pressure on the administration to abide by the subpoenas and provide requested documents. The Democratic Party was split on the action. Seventeen members voted with the Republicans to hold Holder in criminal contempt while just under two dozen voted to hold him in civil contempt. But most, led by the Congressional Black Caucus, walked off the floor to protest the vote, which they called "appalling." Attorney General Eric Holder reacted after the first vote, criticizing House Republicans for "making reckless charges" and "advancing truly absurd conspiracy theories." He called the vote against him "a regrettable culmination of what became a misguided - and politically motivated - investigation during an election year. By advancing it over the past year and a half, Congressman Issa and others have focused on politics over public safety." White House communications director Dan Pfeiffer said gunwalking dated back to President George W. Bush's administration and was stopped by Holder. "Yet, Republicans pushed for political theater rather than legitimate Congressional oversight." "Unfortunately, a politically-motivated agenda prevailed and instead of engaging with the President in efforts to create jobs and grow the economy, today we saw the House of Representatives perform a transparently political stunt," Pfeiffer said in a statement. Rep. Darrell Issa, Chair of the House Oversight and Government Reform Committee, which led the investigation, defended the contempt vote, saying "the Congressional inquiry into Operation Fast and Furious, and the cover-up by Justice Department officials of wrongdoing, has been a fair and fact based investigation." "This was not the outcome I had sought and it could have been avoided had Attorney General Holder actually produced the subpoenaed documents he said he could provide," Issa said. The contempt does not address the controversial Bureau of Alcohol, Tobacco and Firearms' Fast and Furious operation itself, which allowed more than 2,000 weapons to fall into the hands of suspected traffickers for Mexican drug cartels and where at least one gun was found at the murder scene of U.S. border patrol agent Brian Terry. Instead, it is about subpoenaed documents the Justice Department is withholding from Congress in the investigation. Holder has testified before Congress nine times and turned over thousands of pages of documents. But Republicans investigating the scandal say the answers to many outstanding questions could lie in tens of thousands of pages of documents the Justice Department has failed to turn over citing that they're part of the internal deliberative process or ongoing investigations. Several weeks of closed door discussions between members of Congress, their staff, Justice Department officials and even Holder himself resulted in a stalemate. President Obama granted Holder's request for executive privilege to keep the documents from Congress, but House Republicans question if the action is further evidence of a cover up. The Justice Department had offered to provide a "fair compilation" of the outstanding documents if Republicans on the House Oversight Committee would agree -- in advance -- to end their investigation once and for all. Republicans balked when the Justice Department refused to provide a log of the withheld documents and descriptions of why they were being held back, as routinely required in court disputes of this nature. CBS News Correspondent Sharyl Attkisson contributed to this report.